A memory foam mattress has a type of foam that molds to your body. Its official name is viscoelastic polyurethane foam, but memory foam became common because it molds to your body shape. The best memory foam mattress is one that provides optimum body support but then bounces back to its original form when you’re not using it. All mattresses on the market are different – with various sizes, support features, and thicknesses from which to choose. When it comes to your back and sleep quality, you don’t want to take any chances, so view these options below and select the best one for you. 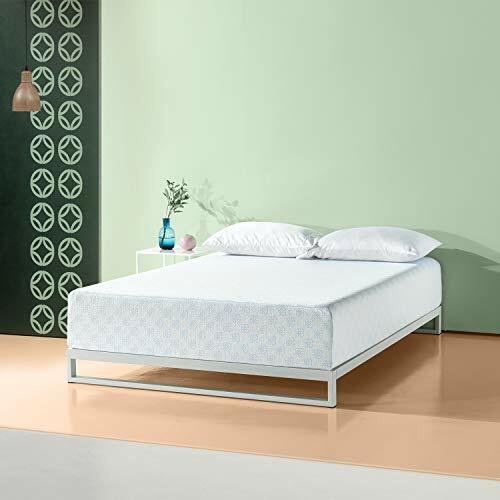 If you struggle to get a good night’s sleep on your current mattress, then it might be time to upgrade to this memory foam mattress from Best Price Mattress. As the name suggests, you get the best price when you buy this product. Its affordability compared to its quality features is going to impress. One of the standout features is the variety. There is no one-size-fits-all approach to your back, so the same deal applies to this memory foam mattress. You can buy it in twin, twin XL, full, queen, and king sizes, as well as thickness variations of between six and 12 inches. If you usually struggle to find a mattress to suit your needs, you will be pleased you discovered this one. The foam components of the mattress are also going to tick all the boxes. 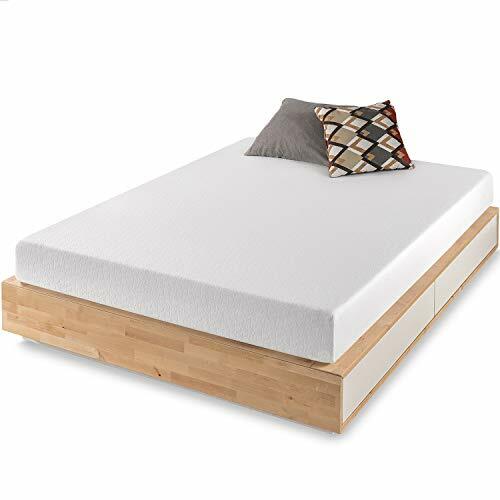 It features body-conforming memory foam with three inches of memory foam, two of super soft foam, and five inches of high-density foam. All of these foam types work together to provide a comfortable night’s sleep along with a pressure relief system. While a memory foam mattress can absorb a lot of heat and this one can have a strange odor when you first use it, it’s a small price to pay. What’s more, the ten-year warranty seals the deal. It might be time to buy this memory foam mattress today. If you don’t have a lot of money to spend, but you know you need a new mattress, then set your sights on this memory foam mattress from Zinus. While it’s not going to be competing for the top spot against leading brand mattresses, it’s going to help you out of a tight place and provide comfort for a few years. You can buy this memory foam mattress in seven sizes and three thickness options – one of which is bound to appeal. You can then enjoy the variation of foam options which will see you fall into a deep sleep. There is three inches of memory foam, three of pressure-relieving foam, and six inches of high-density foam. All types are also BioFoam which features natural plant oil instead of harmful chemicals. However, you can still notice a strong chemical smell when you first get it which can take some time to remove. After a couple of years of feeling like you are sleeping on clouds, this memory foam mattress may start to give you a sore back as it loses support. At that point, you may like to replace it for another memory foam mattress or something different. In the short term, this mattress will be a success. When you’re on a budget, you might think you won’t be able to afford a memory foam mattress because they are typically quite expensive. Olee is making sure you can have your cake and eat it too. This premium memory foam mattress is affordable, high-quality, and will provide you with a decent night’s sleep. There are also many standout features. You can buy it in twin, full or king, but you may like to measure them as the sizes are not always exact. Each size also offers top layer support and three foam types. Enjoy the plushness and comfort of memory foam alongside ILD and HD foam to seal the deal. Many memory foam mattresses have problems with heat retainment which causes people to wake up boiling. This mattress, however, bucks the trend. Because it has a one-inch gel layer, it disperses the heat, so you remain fresh and comfortable all night. Even shipping is affordable thanks to the patented technology which enables the manufacturer to roll this mattress up for a smaller size. 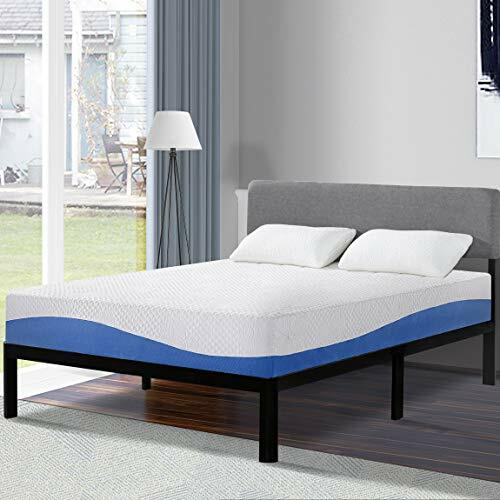 While you may suffer back pain if you are used to a coil bed, and there is a strange odor which takes a while to get rid of, this memory foam mattress is the right price and the best quality for a range of people. If you suffer from a sore back with a regular mattress, then it’s clear to see that it’s time to check out this memory foam mattress from Sweetnight. Even though it’s a bit more expensive than other ones like it on the market, it’s worth its weight in gold. This memory foam mattress is available in six different sizes to suit a range of beds. However, before you pick the one you believe will fit, measure your bed area and compare it to the mattress. This memory foam mattress is often longer than a standard bed. The measurements aside, there is a lot to love about this product. It comes with three layers to ensure you are as comfortable as possible, and even uses different foam types. There is gel memory foam to distribute your body heat evenly, as well as patented and certified comfort and high-density foam too. Then, a hypoallergenic, breathable rayon cotton cover sits over time. It’s clear to see that Sweetnight has thought of everything. However, the positive points don’t end there. 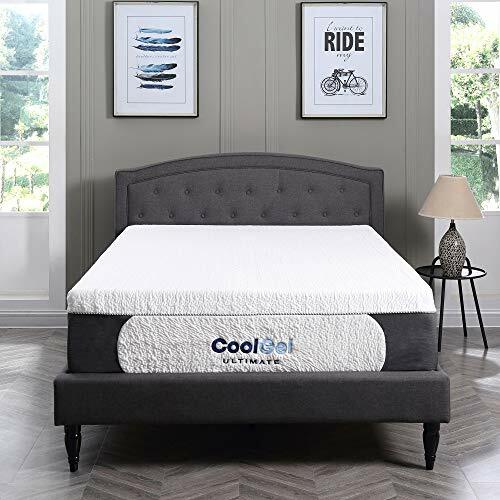 This memory foam mattress offers a three-zone design for comfort, stops you from overheating while you sleep, and you get full pressure relief too. On some models, you can also flip it if you find the foam is cracking or creasing as it can do. For additional peace of mind, if this memory foam mattress doesn’t meet the mark for your needs due to a manufacturing problem, you have ten years to send it back for a replacement. Many of the memory foam mattress options on the market don’t offer a lot of support. While they are comfortable and ideal for a range of people, the lack of support for backs can see people looking elsewhere. Fortunately, Olee Sleep has solved this problem with a memory foam mattress that has pocket springs. Instead of sinking into the depths of the bed, you get as much support as you need. While some people believe there is not enough padding, it gets too soft over time, and it can give you a sore back, there are equally as many people who love everything this memory foam mattress has to offer. You can buy it in a full, queen, or king size, then enjoy the five complex layers that provide unparalleled comfort. All of these sit amongst DuraSpring wrapped coil pocket springs. On top of the high-density, gel-infused and Dura foam is a Jacquard cover. The cover is easy-care, breathable, and will take your new sleeping experience to the next level. The icing on the cake is how affordable this mattress is. It has nothing on leading brands, but it’s an excellent, cost-effective option for anyone looking to upgrade to a bed that’s comfortable, affordable, and supportive. There’s a lot to love about this memory foam mattress, which is why so many people are choosing to buy it. 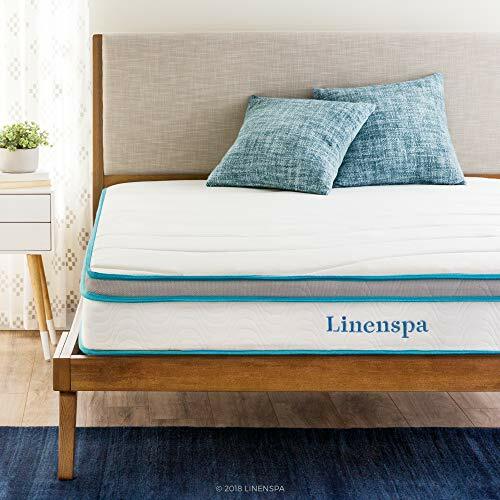 If you suffer from back pain or you’re tired of a hard, lumpy mattress that harbors a lot of dust and dirt, then there’s every reason to consider this memory foam mattress from Live and Sleep. After all, it offers everything a regular mattress can’t. You get the option of seven sizes, so there’s bound to be one to fit your bed. What’s more, each size comes with 12 inches of foam in three layers. Enjoy how eco-friendly it is, hypoallergenic, and how it has a gel foam layer to distribute your body heat. Unfortunately, this feature doesn’t work as well as it should. However, that’s not all you get when you buy this memory foam mattress. It comes with a memory foam pillow for neck support, as well as a 20-year warranty. Such a guarantee is almost unheard of in the mattress world! With this warranty, you receive cover for all manner of faults such as seams splitting (which can happen on the odd occasion). Its price tag is a bit on the high side, and it doesn’t offer as much support as it should, but it’s still a standout memory foam mattress. If you need a new one, you may like to push this one to the top of your shopping list. 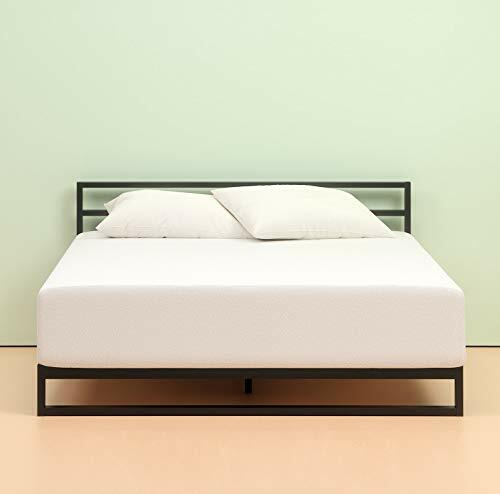 Even though this memory foam mattress has a few faults, particularly relating to its firmness and support, you may like many of its features anyway. It’s not the best memory foam mattress on the market, but it’s by no means the worst. That’s not all this memory foam mattress has to offer either. It features gel infusion to evenly distribute your body heat while being free of latex and coils. If you have skin problems, the eco-friendly and hypoallergenic properties are also bound to appeal. This memory foam mattress is not as affordable as others, but it still has a range of features that are going to tick all the boxes for your needs. If you need a new mattress, consider taking a closer look at this one. If you can’t afford the best memory foam mattress money can buy, then the second-best will have to do. You are sure to find this one from Sleeplace suits your needs well – even if it doesn’t have all the best features and qualities of leading brands. Firstly, this memory foam mattress is only going to suit you if you have a full-size or twin bed. Otherwise, you may have to select another brand. However, it has an affordable price tag to go with it, a patterned poly Jacquard cover that’s soft and comfortable, and four layers of foam. These layers consist of memory, Duraflex, ventilated, and high-density foam. All segments are nature-friendly without the use of heavy metals or toxic chemicals. However, it can take a while for a strong odor smell to dissipate. Even though it doesn’t cost a lot to buy, this memory foam mattress is also exceptionally comfortable, but it still doesn’t suit everyone. It doesn’t always inflate to its full size which can be a problem. All in all, this mattress is not the best but still offers decent value for money. 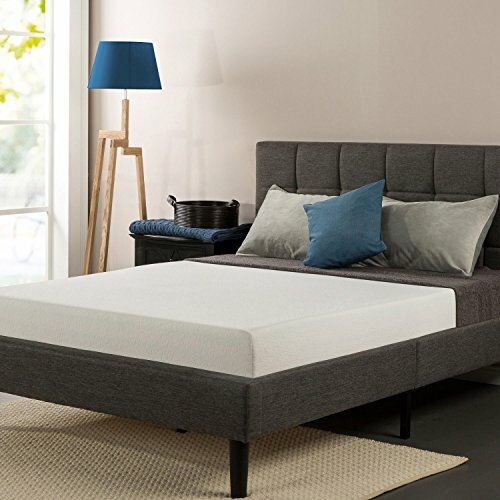 Even though the measurements of this memory foam mattress are not entirely precise, you are going to love how many helpful features it packs into its complex layers. If you had a sore back before you bought it, it would be a thing of the past in no time. 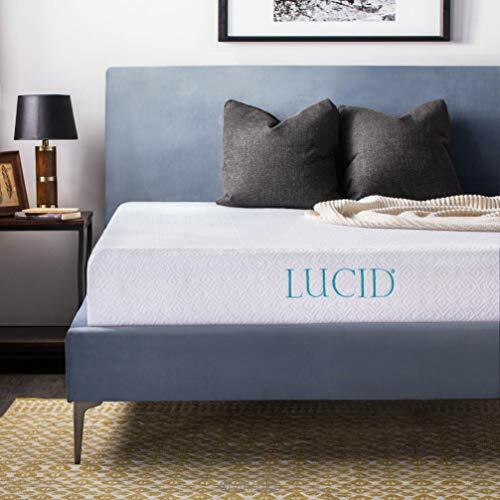 You can buy this memory foam mattress in seven size options, all of which have three inches of visco memory foam with a medium-firm HD core and a fabric flex linen cover. You also get a memory foam pillow for free to go with it! Both the bed and pillow are eco-friendly and hypoallergenic, while the mattress comes with a fantastic warranty. If you discover any manufacturer faults not relating to general wear and tear over a 20-year period, you can return the mattress for a new one. It doesn’t get much better than that. This mattress is also exceptionally comfortable, even if it doesn’t offer a lot of support. If the time has come to make a change, consider upgrading to this memory foam mattress from Live and Sleep. Many people put off buying a new bed because of the cost, but the more significant cost is the back pain you can suffer if your mattress is no longer fit for purpose. However, when you finally decide you can’t put it off any longer, you need to be careful with your mattress choice. You don’t want to jump right into a purchase if the mattress doesn’t end up being right for you. Instead, consider these points to avoid making the wrong choice. Unfortunately, not all memory foam types are quality. Some are such inferior quality foams that they can do more harm than good. The best memory foam mattress is one that has several different foam layers for various reasons. Some dispel heat, others provide support, while another layer focuses on comfort. The complexity of a mattress can end up doing your body a world of good. There are many bed sizes on the market, so you can rightly assume the mattress market will be equally as varied. However, even though you might have a queen bed, don’t expect that a queen memory foam mattress will fit it. Some don’t have the most accurate measurements. Where possible, ask the supplier for the precise measurements then compare it to your bed base, so you know it’s going to fit. You may not want to spend a lot of money, but the more you pay, the better quality the mattress is typically. If it’s a case of waiting a bit longer to buy a new bed so you can save more money, then do it. Don’t skimp when it comes to your sleep. Finally, support is the most critical factor. You need as much of it as possible to prevent back pain, but it can be hit and miss with memory foam. If you want an idea of what you can expect from a certain mattress firmness, read the customer reviews.